The sun is starting to set noticeably earlier, greens all around are fading to browns, and the temperature has begun to drop just a few degrees. It all can only mean one thing: the summer season is officially on the decline. 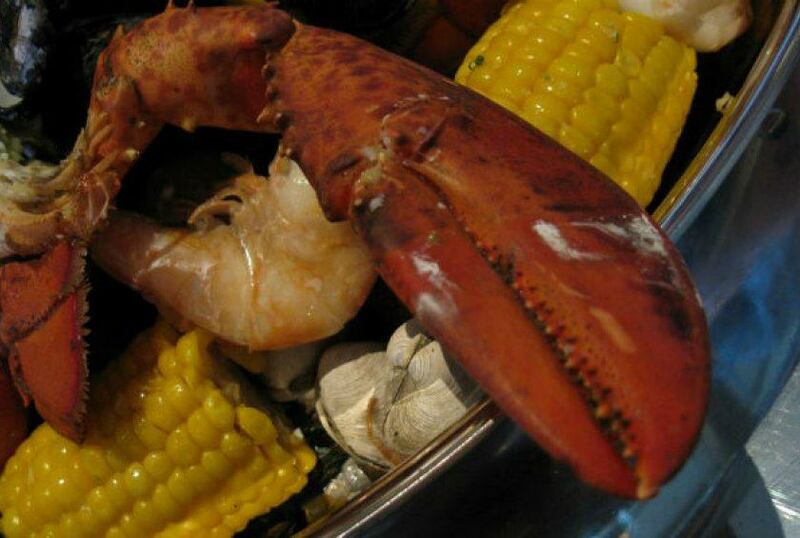 Don’t be fooled by the fast-approaching Labor Day; there's plenty of summer cooking to be had. We still have warm nights and bountiful produce to enjoy. Now is the time when sweet corn is at its sweetest, freshest, and ripest. Best of all, corn is versatile, and here we’ve curated a simple selection of some of the best summer corn recipes around, courtesy of some top chefs, food bloggers, and our own vast recipe archives. Whether you enjoy these golden ears boiled with Old Bay, grilled and rolled in queso fresco and Mexican spices, or tossed in a bright summer succotash, now is the perfect time to get after it. This recipe deviates from the Southern classic by adding bacon and Cheddar. With this dish in tow, you’re sure to be everyone’s favorite guest at this weekend’s Labor Day cookout. Check out the recipe for Bacon Cheddar Cornbread here. The charred corn provides a wealth of flavor and a deep yet subtle sweetness. When making this salad, be sure to massage the kale to break down its fibrous leaves. Click here for the recipe. This recipe makes the smoothest, sweetest, simplest chilled corn soup; it’s an ideal light meal to enjoy during the last days of summer’s heat. For this recipe, click here. This recipe, by celebrity chef Emeril Lagasse, includes luscious lump crab meat and corn all battered and deep fried, making for an addicting fried appetizer. 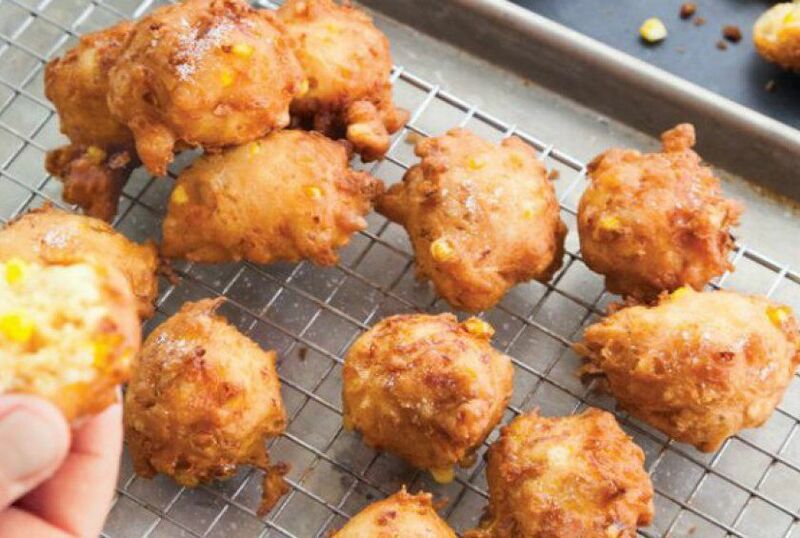 For this recipe for Carb and Corn Fritters with Fresh Corn Mayo, click here. In this recipe, clams, corn, potatoes, and sausage come together with copious amount of Old Bay in a good old fashioned clam boil. Check out the recipe here. Chicago chef Rick Bayless likes to serve this hearty guacamole with grilled meats, fish, shrimp, and chicken, but it’s also great with a big bowl of tortilla chips. For the Grilled Corn and Poblano Guacamole recipe, click here. Try this vegetarian taco recipe for your next Meatless Monday; it’s a simple recipe that is not only healthy but also delicious and easy to make. Find the recipe here. The Food Hunter's Guide food blog came up with this lovely recipe that mixes sweet grilled summer corn and mac and cheese. Try this surprising ingredient combo with the recipe for Grilled Corn Mac and Cheese. This delicious dish from chefs Jeff McInnis and Janine Booth of Root & Bone will have you cooking like a pro in no time. Make this recipe even easier by making the corn sauce and succotash in advance and then reheating them when you’re ready to cook the fish. 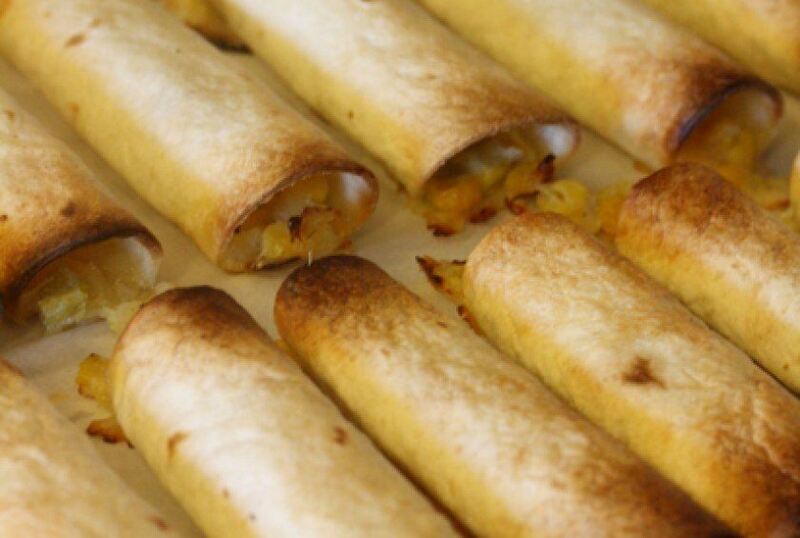 For this recipe, click here. A creamy chowder with a Southwestern kick: corn and Hatch chiles are simmered in a silky cumin-scented broth for a filling soup that is both soothing and spicy. P.S. it’s Hatch chile season, too! Get the recipe here. In a nod to the corn on the cob often served by street vendors in Mexico, this sweet corn is brushed with a smoky chipotle spread, grilled, and then finished with crumbly queso fresco cheese, cayenne, and a squeeze of fresh lime juice. For this recipe, click here. These cheesy flautas are a fun and easy appetizer to make and are also completely meat-free. If you're planning ahead, you can make these a day or two in advance and then re-crisp them in the oven before serving. For this recipe, click here. In this recipe, excerpted from the cookbook This Book Cooks by Kerry Dunnington, pancakes get a tasty twist: Whole corn kernels are baked into the pancake mix. 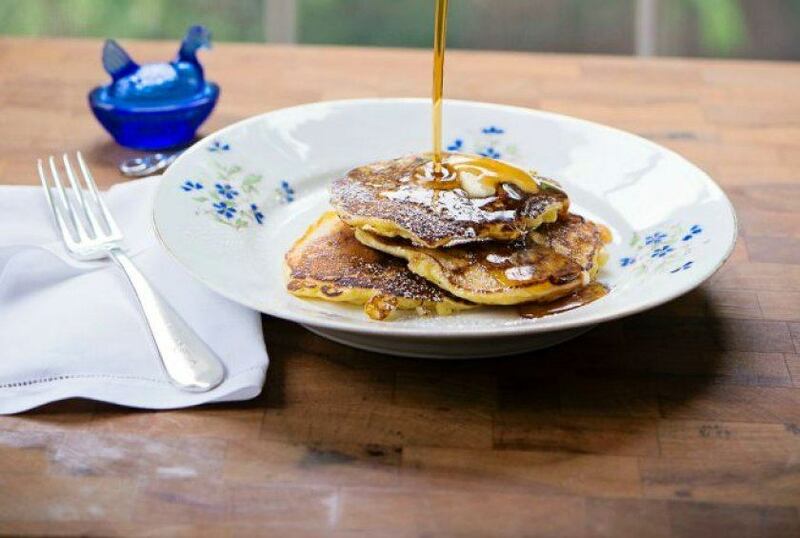 Topped with butter and doused in maple syrup, these pancakes have flavor you’ll love as well as a nice textural contrast. Click here for the recipe. This sweet corn quiche will leave everyone full and happy. This recipe is deceptively simple, and you can make it with fresh or store-bought pie dough. For the full recipe, click here.